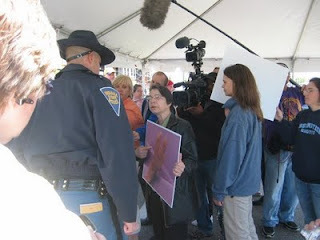 THE PASSIONATE PRO-LIFER TURNED ABOLITIONIST: Dr. Monica Migliorino Miller's arrest at Notre Dame! 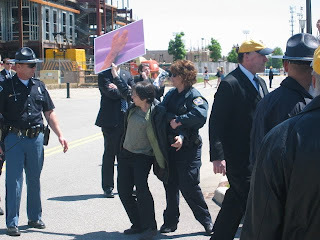 Dr. Monica Migliorino Miller's arrest at Notre Dame! "Breaking News: New York Times features photos of aborted babies; front page FAIR story on pro-life activism"
Could there be a more amazing headline? I must admit to having never seen one in my lifetime of pro-life activism than the one above from the amazing Jill Stanek's blog today. 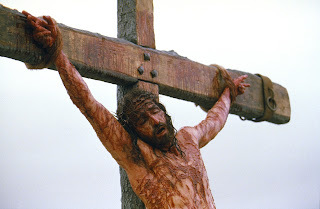 Well, incredibly, Jill and I had the wonderful honor of watching and chronicling Dr. Miller's arrest at Notre Dame when Barack Obama spoke to the graduating seniors and besmirched the good name of the nation's most renown Catholic university. Monica Miller is an ardent foe and indomitable warrior for the tiny ones slaughtered in the womb over 3,500 times every day in our nation. Her photos making the New York times are nothing, if not miraculous. Her passion is to help America understand the dignity and humanity of the pre-born. 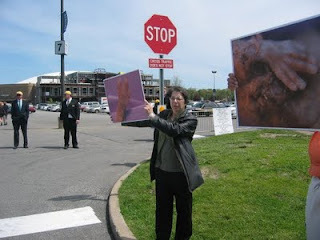 Her passion at Notre Dame was to be arrested in order to take her photos of little hands and feet (found in a dumpster behind abortionist Hodari's death camp) to those standing in line to hear the speech of a man who supports late term abortion and more. She wouldn't stop charging the police lines with her truth! She was beyond bold! She insisted that those who were in line to hear from an advocate of the war on babies in the womb, deserved to see the results of what his skewed moral compass leads to. 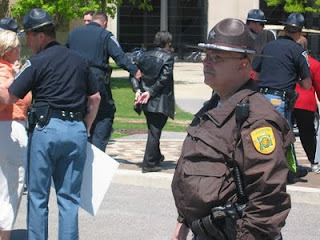 Dr. Miller finally was arrested after 4 or 5 attempts at charging the police line. She likely still has a court date pending. But her truth is undoubtedly making its way around the world, as I write. What a privilege it was to make her acquaintance and share my photos of her passion here. Might I say, her passion is inspired by His passion for His creation - for each and every infinitely valuable individual to grow up to know and love Him!